Another year, another Pi(e) Day, and that just means another pie here at FAF. 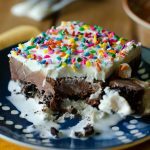 Of course, this is not your average pie, because somehow I fell into a “tradition” of no bake pies for Pi(e) Day. 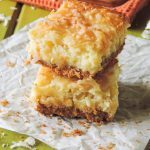 And I am totally a-ok with that, because no bake pies are a favorite around here, among my readers and my real life taste testers. 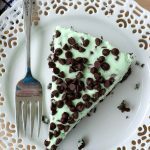 And it all began with that no bake mint chocolate chip pie a couple years ago. Swooooon. But before we get to that: Pi Day. You know I am a nerd at heart, as my full time job is as an antibody scientist. I am also a number super nerd. Hear me out… We got married on 06/07/13 (6 + 7 = 13). Our first son was born on 06/14/16 during the only week that year that any day would have been a palindrome. In the weeeee hours of the morning when my contractions were getting stronger and we were pretty sure he was making his appearance shortly, we all guessed what time we thought he would be born. It was fun, silly, and a good way to keep my mind off of the pain. Priorities? I do love him so. This baby is due 05/13/18 (5 + 13 = 18). So. He better be evicting himself on his due date if he knows what’s good for him in this family. Are you still reading? Have I completely scared you away with my supreme nerdiness? 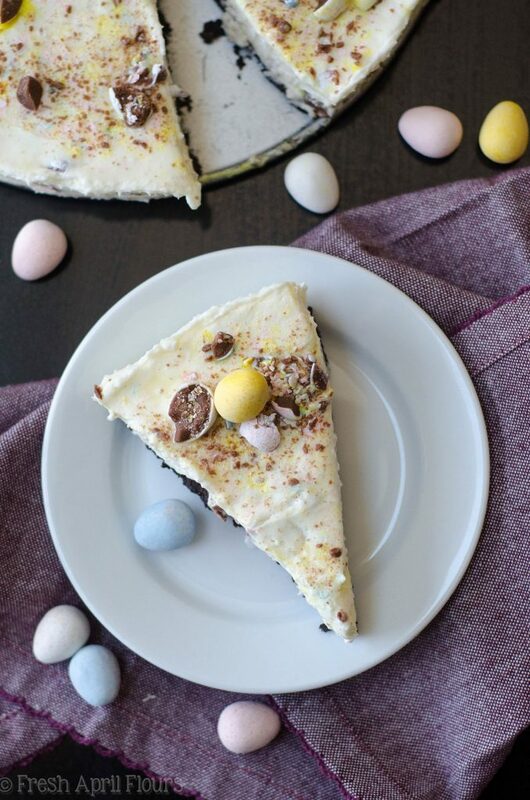 I sure hope not, because this no bake pie is what your Easter dessert dreams are made of, and I promise you that you’re going to want this on your spread or in your hands when you arrive at whomever’s house you’re feasting at on Easter Sunday. That’s. It. 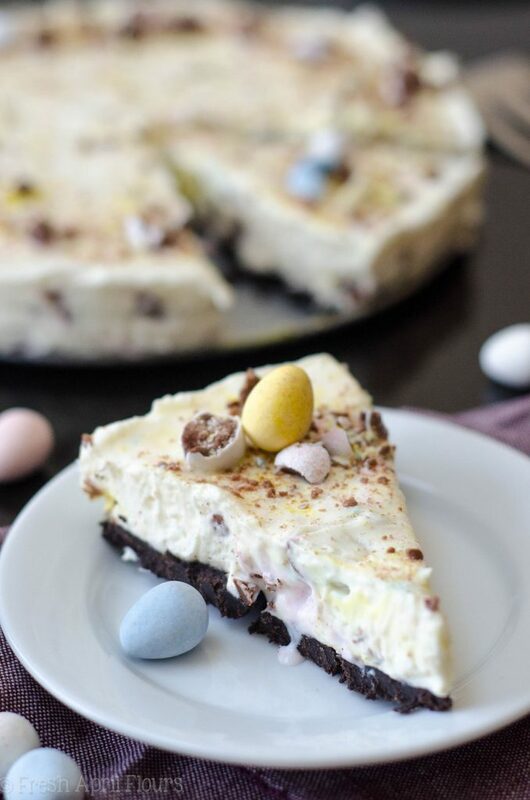 It’s so simple, yet it’s going to blow you away with its ease, adorable springtime charm, and, of course, its slightly cheesecakey yet not totally cheesecakey taste and texture to deliver all those chopped up (best Easter) candy bits to your belly. Also, let’s stop to take a poll– are Mini Eggs your favorite Easter candy or what? They are totally mine, though Sweet Tart and Starburst jelly beans come in a close second, because fruchewy is always my jam over chocolate. 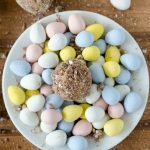 It’s just something about that crunchy candy coating and suuuuuper smooth chocolate on the inside of those eggs that somehow begs me to love Mini Eggs the most. Plus, you can’t get them any time but Easter and they’re sometimes a little hard to find. Playing hard to get apparently wins you over in my candy heart! I do have a note about the filling + chopped Mini Eggs. 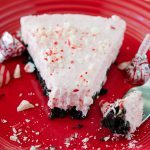 I ran into this problem when I went to make my filling for my no bake candy cane crunch pie, and the addition of candy canes to the filling just made the whole thing fall apart. 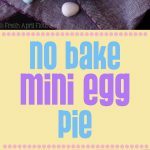 The candy coating on these Mini Eggs will make the filling of your no bake pie a little softer than what you’d find in my no bake mint chocolate chip pie or my no bake chocolate chip cookie dough pie. I thought this might happen, and I was prepared to freeze this pie from the beginning. Though the candy coating didn’t turn my pie filling to shloop like it did with the candy canes, I did wind up freezing the pie after I photographed it, and that held the pie together better. 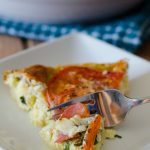 Allowing your pie to set up in the fridge is totally fine, just know it will be a pretty soft pie, and the freezer will give you the sturdiest result. Just let the pie sit out for about 10-15 minutes before serving it. 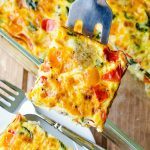 For leftovers, one cut slice alone only needs about 5 minutes at room temp to be soft enough to eat. Or, you could just dive right in, like we’ve done. Hello, impatience. 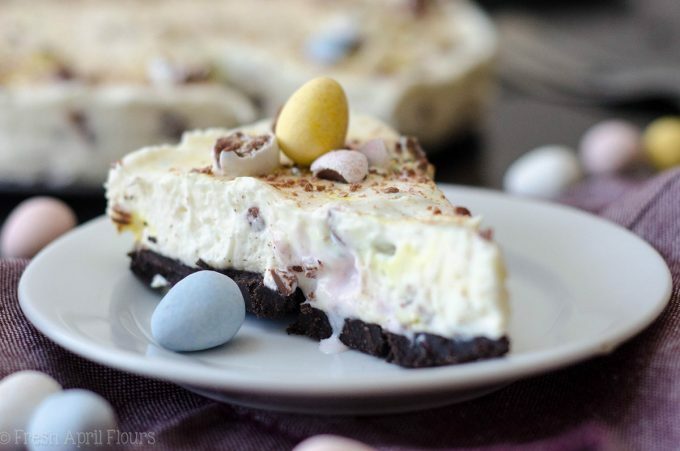 However you choose to chill your pie will bring you the same result: creamy cheesecake-like filling with crunchy chunks of candy coated Mini Eggs, all atop the best Oreo no bake crust you could ever choose to start of a pie with. Oh! And! And! 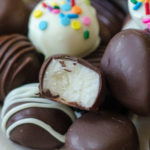 If you choose to leave it refrigerated, look at that gooey candy coating just pouring out of some of those bites. 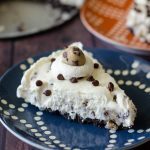 I mean, if that doesn’t entice you to grab a spatula and start making this pie ASAP, I’m not sure what will! 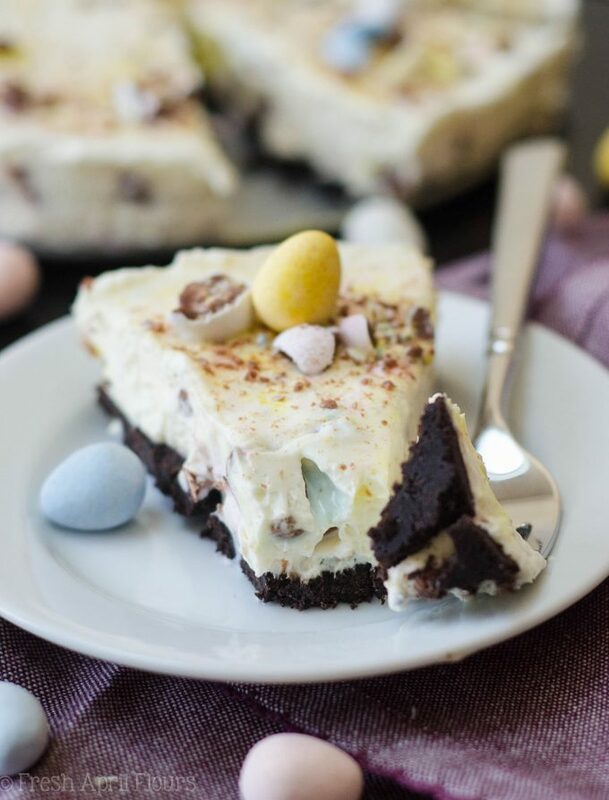 A creamy no bake pie filled with chopped Cadbury Mini Eggs-- perfect for Easter! Place the crushed Oreos in a medium size bowl and drizzle the melted butter evenly over the cookies. Stir to mix completely, then press evenly into the bottom of a 9" springform pan (a regular 8" or 9" pie plate will work just fine as well). Chill in the refrigerator for 30 minutes. 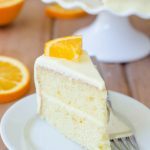 In a medium size bowl with a hand mixer or the bowl of a stand mixer fitted with the whisk attachment, beat the whipping cream until stiff peaks form (about 3-4 minutes; see this tutorial for step-by-step instructions for homemade whipped cream). 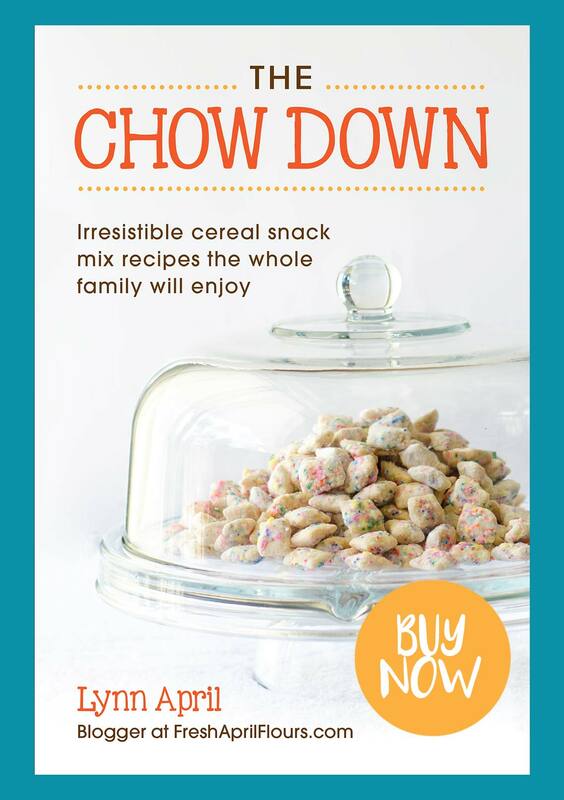 Place bowl in the refrigerator (or transfer to smaller bowl if using a stand mixer) until ready to use. 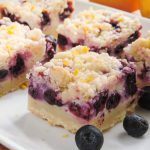 In a large bowl with a hand mixer or the same bowl of the stand mixer (no need to clean) now fitted with the paddle attachment, beat the cream cheese on medium-high speed until smooth. 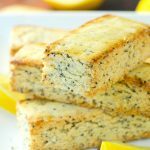 Reduce mixer speed to low and add the sugar and vanilla extract, increase the mixer speed to medium-high, and beat again until smooth. Scrape down the sides as necessary. Turn off the mixer and fold in the cold whipped cream with a large spatula until thoroughly combined. Pour in 1 cup of the crushed mini eggs and mix again with the spatula until evenly dispersed. 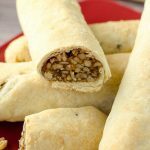 Pour the filling onto the prepared crust and spread evenly with the spatula (I prefer to use this small offset spatula). 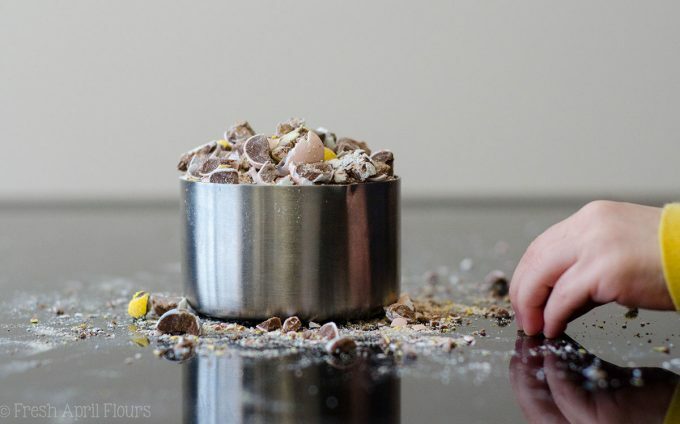 Sprinkle with remaining 3 Tablespoons of mini eggs. 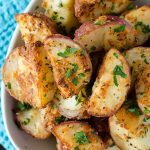 Cover with foil or plastic wrap and chill in the refrigerator overnight before serving. I find the best texture and stability if the pie is frozen, at least 4 hours, but overnight for best results. If frozen, allow to sit at room temperature about 10-15 minutes before slicing. Store leftovers covered tightly in the refrigerator up to 5 days, or the freezer up to 2 months. *I put whole candy pieces into a large zip top bag and used the handle of my rolling pin to crush them. See photo in narrative above for reference. 06/14/16 isn’t a palindrome, though… the reverse is 61/41/60. Or even if you swapped month/year, it would be 16/14/06. What am I missing?! Hahaha, ok, remove the slashes and don’t overthink it: 61416! In fact, I never realized that both my husband and my birth month/dates are palindromes, because I have ALWAYS written them as 06/16 and 06/26. Haha! Haha, and as you likely should as a scientist! I LOVE your pi/pie day creations every year, but this one looks EXTRA amazing. Swoon! 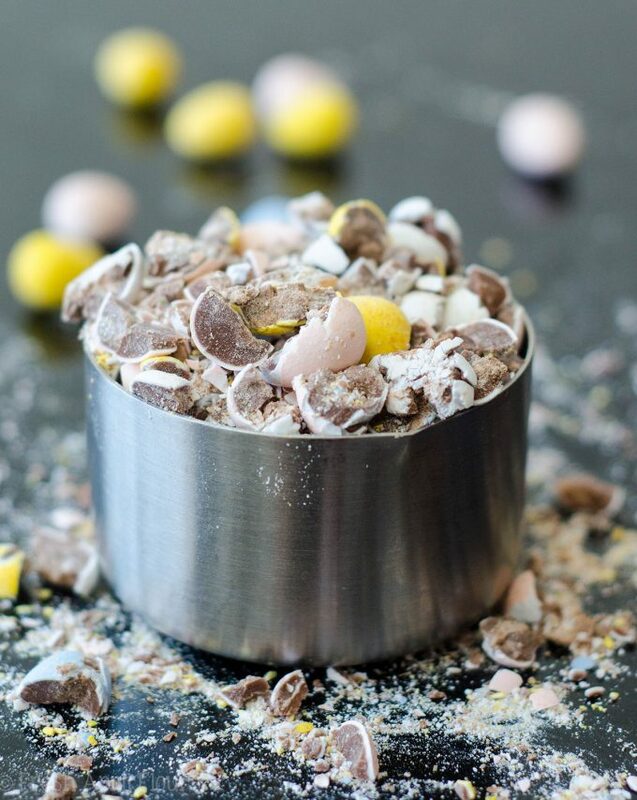 It’s hard to beat mini eggs!